Last summer Tom McGuinness SJ and I received a request to give a retreat at Mt. 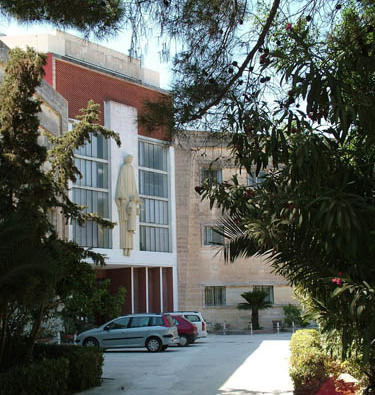 St. Joseph’s Jesuit Retreat Centre in Malta during this May, 2017. The choice of style and subject matter was left to us, but Tom knew the Maltese superior and some Maltese Jesuits had attended our retreats at Manresa, Dublin. 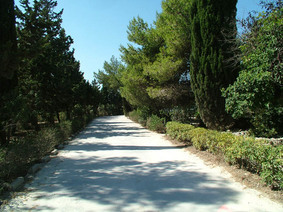 It was thought that our style of retreat, with pictures, poetry and music, would be a change from the usual programme. We decided to call the retreat, ‘Christ our Morning Star’ after one of my reflection books. Initially the Maltese were unsure about the clientele, but we assured Mt St Joseph’s that it would probably appeal to British laity in search of the sun. We were proved right, and on 30th April, 35 people arrived at Mt St Joseph’s from as far north in the UK as the Black Isle and as far south as Portsmouth. A small number also came from Ireland. There were 5 married couples among them, one of whom was a student from my time at Liverpool Hope University when it was Christ’s and Notre Dame College and part of LIHE. She was accompanied by her husband. I had not been in touch with her for many years and she is now 52 years old! It was lovely to see her again and to recall times past. The group was augmented by 2 younger Italian women, one from Bologna and one from Milan, both catechists, who had read of it on the Italian Jesuit website. There was also a younger German woman who is working in communications in the American Embassy in Rome. She had met SrTeresita, General Moderator of the Sisters of Notre Dame, at a UISG (International Union of Superiors General) meeting and knew all about Dorothy Stang, SND. All three were fluent in English. It was very inspiring to meet this varied group who had been attracted through the internet to come to the retreat. One cannot be in Malta without thinking of St Paul. It was my first visit to the country and I was aware how near we were to St Paul’s Bay, where Paul swam ashore after the shipwreck. The Acts of the Apostles recalls the shipwreck and the subsequent kindly welcome to the travellers by the inhabitants of Malta, who are described as ‘unusually kind’ in Chapter 28 of Acts. Our reflection on ‘The Storm at Sea’ came alive for the retreatants who had experienced the Pauline association with storm and shipwreck. 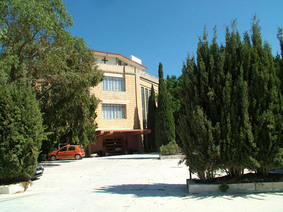 Mt St Joseph’s Retreat Centre is spacious and cool indoors and surrounded by extensive gardens with groves of almonds, olives and citrus fruit. Malta is rated as one of the most arid nations in the world, along with most of the Middle Eastern nations so crop culture is limited. There are no natural rivers and water is de-salinated for general use. Our theme of ‘Living Water’, reflecting on the Woman at the Well also took on new meaning and understanding. 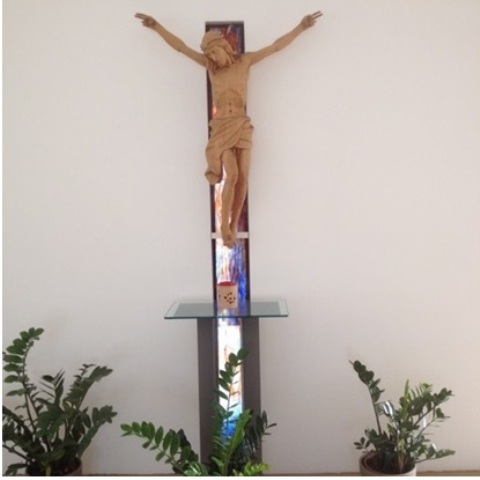 The chapels in the Retreat Centre are very beautiful and furnished in a modern and tasteful style. They are ideal for simple liturgies and for prayer. We each had ensuite rooms, which always helps relaxation and peace. 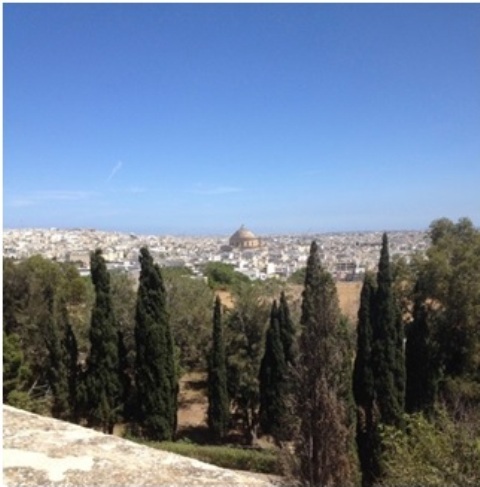 The retreat began with a one and a half day pilgrimage to sites connected with St Paul, but it also incorporated cultural visits like the Hagar Qim Neolithic temples from 3,000 BC, the Roman catacombs dating from the Roman colonisation of Malta and the formidable bastions of Valetta harbour. Tom and I missed the pilgrimage because of outstanding commitments back home, but we hope to make it next year, as we have been invited back to Malta. After the pilgrimage we began the silent retreat and although it was a first experience for many the level of silence and commitment throughout was very impressive. Each morning there was an input at 9.30 am, using my style of reflection with pictures and Tom’s choice of poetry and song. Later in the day there was an optional sharing group at 5.30 pm. Mass was at 6.30 and supper at 7.30. During the morning and late afternoon we each offered interviews to six people and a couple of the resident Jesuits helped us with this because of the numbers involved. I also thought a good deal about Sisters Maria Cacchia and Anne Aquilina during the retreat - both Maltese Sisters of Notre Dame of the British Province. Maria was granted her desire to die in Malta, whilst visiting her family there. The room I used in Mt St Joseph’s was donated and dedicated to St Anne by the Aquilina family. I couldn’t help wondering if it was Sr. Anne’s family. May they both be at rest and in joy, basking in the light of God. The Jesuit community were very pleased with the response to the retreat, especially as it attracted so many lay people who each have their individual stories and concerns to share with someone who is committed to listen to them. The community have invited us to return in 2018, from May 3 - 11, so we ask your prayers that many more will benefit from this ‘retreat with a difference’.